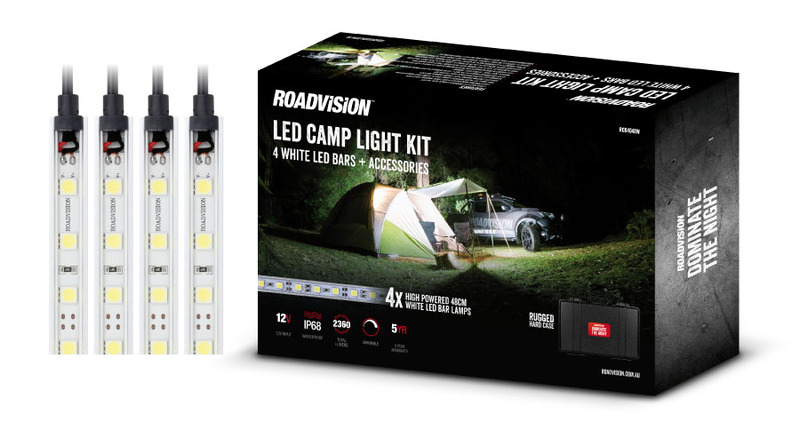 Roadvision’s RCK4048W camp light kit features 4 white LED rigid aluminium bar lamps producing a wide angled flood beam and 590 lumens of light output per light. Supplied with 3 on/off dimmer switches you can control the brightness of individual lamps and even turn them off, giving you total control of your campsite lighting. With over 29 metres of plug and play wiring, the LED bars can be installed in-line or in parallel using supplied cable splitters allowing versatility in illuminating the entire campsite. 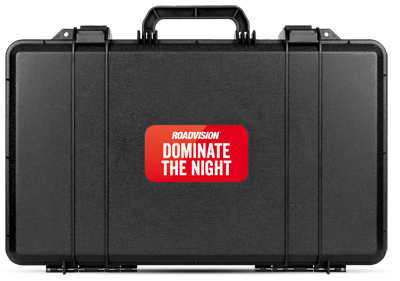 Supplied in a hard rugged carry case to safely store and protect your lighting kit for many adventures to come… Dominate the night with Roadvision.